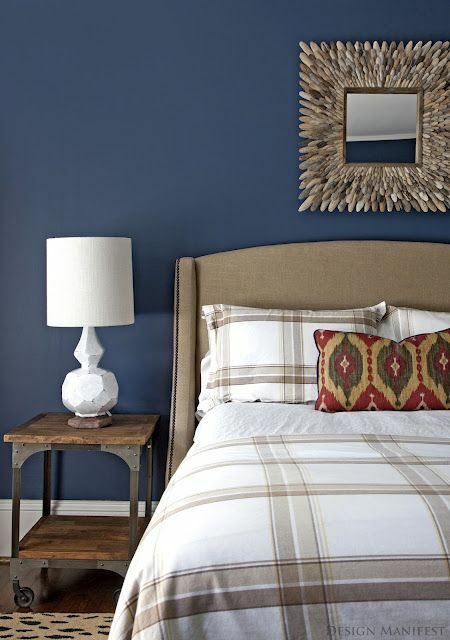 If you are looking for a change and are ready for dramatic, consider painting a room in a gorgeous navy blue color. Whether used in a bedroom or a study or even your front door, a rich, dark navy color will transform your home. One of my all-time favorite navy blue paint colors is Van Deusen Blue by Benjamin Moore. Complex, sophisticated and classic.